The reason that I’m able to do that is because I’ve created a proprietary one of a kind SEO website content generation system that I began working on in 2004. To give you an idea of my background, I’m a writer by trade. I was a journalist that began writing sports back in 1984. I transitioned into advertising in 1996 and wrote campaigns for Fortune 500 companies until later on in 2004 when I went into working for a large events company. Now along the way I began working on websites and what I noticed was that people were very confused about what to put on a website. Do you put this on it, is it this? There’s all sorts of theories. I’ve executed that for doctors and lawyers, real estate firms as well as financial services companies all range of service businesses in Wisconsin, North Carolina, Florida, New York and other places across the country. The Marketing Square does all the work. The entire website build, provide the copy, written in a very proprietary manner. You don’t have to do anything but show up for weekly meetings during the first month of our beginning the process. In 30 to 60 days your website is built. After that we go into a maintenance system and information is provided online and for your website that’s advertising your business. The goal is providing the proven website results and in terms of results I’m talking about five and six figures a month. There’s clients whose revenue I cannot divulge but I can tell you that they’re making five and six figures monthly from people who are calling them to hire them for their services. Who are going in and becoming clients of their businesses. So I know that the system works and you’re more than welcome to call any of The Marketing Square clients. If you have questions or you’re ready to get started, please give me a call and we can begin talking about your business and what your plans are for the online positioning of your website. Our goal is always to reach the top of the search engines, to provide proven website results, a return on your investment that’s ROI on your SEO investment search engine optimization. 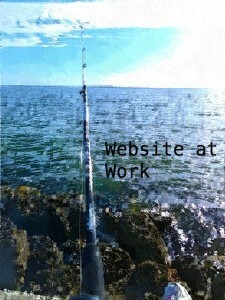 I provide turnkey 100 percent website builds and management. You’ll never have to touch your website again. Once again my name is Rebekah Brown I’m the CEO of The Marketing Square a website and advertising agency that’s provided clients with proven website results since 2010. Look forward to hearing from you thank you for your time.